For more than twenty years after 1793, the French army was supreme in continental Europe. How was it that despite multiple changes of government and the assassination of a Prime Minister, Britain survived and eventually won a generation-long war against a regime which at its peak in 1807 commanded many times the resources and manpower? This book looks beyond the familiar exploits (and bravery) of the army and navy during the French Revolutionary and Napoleonic Wars. It shows the degree to which, because of the magnitude and intensity of hostilities, the capacities of the whole British population were involved: industrialists, farmers, shipbuilders, gunsmiths and gunpowder manufacturers. The intelligence war was also central; but no participants were more important, Knight argues, than the bankers and international traders of the City of London, without whom the armies of Britain's allies could not have taken the field. ROGER KNIGHT was Deputy Director of the National Maritime Museum until 2000, and now teaches at the Greenwich Maritime Institute at the University of Greenwich. 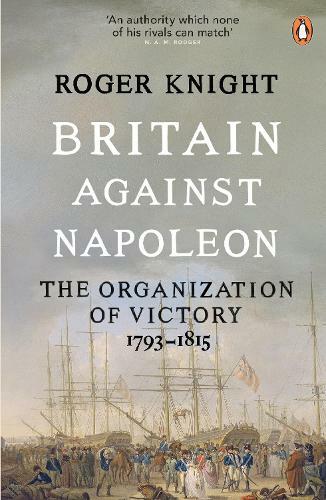 In 2005 he published, with Allen Lane/Penguin, The Pursuit of Victory: the life and achievement of Horatio Nelson, which won the Duke of Westminster's Medal for Military History, the Mountbatten Award and the Anderson Medal of the Society for Nautical Research. The present book is a culmination of his life-long interest in the workings of the late eighteenth-century British state.